Home / Document / Who experiences discrimination in Ireland? Who experiences discrimination? 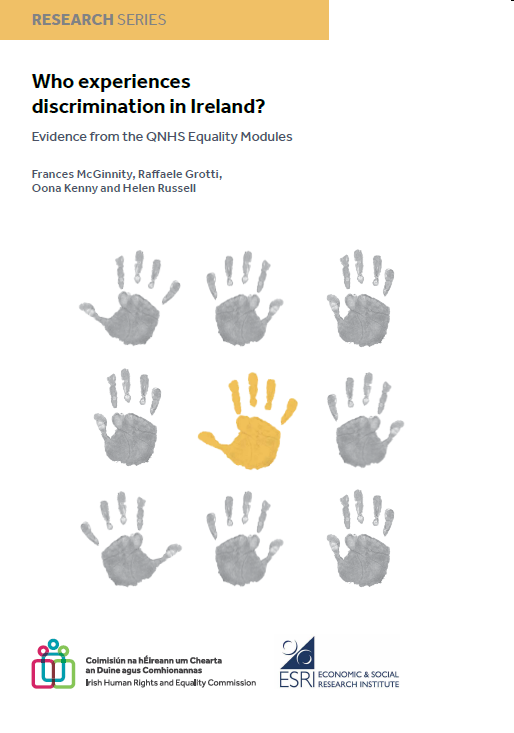 is the first in a series of pieces of research prepared for the Irish Human Rights and Equality Commission by the Economic and Social Research Institute (ESRI), as part of the Commission’s Research Programme on Human Rights and Equality. This piece of research draws on the data collected for the equality module of the 2014 Quarterly National Household Survey, carried out by the Central Statistics Office (CSO). Participants were asked if, in the previous two years, they had experienced discrimination, whether in the workplace, while seeking work, in public services or in private services. The data therefore provides an invaluable insight into the groups most likely to report experiencing discrimination in Ireland, and the context in which it occurs.